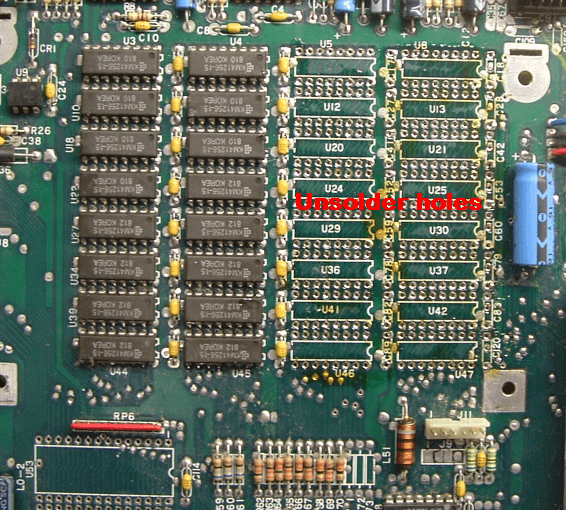 Also note that 3 resistors are missing in this case. 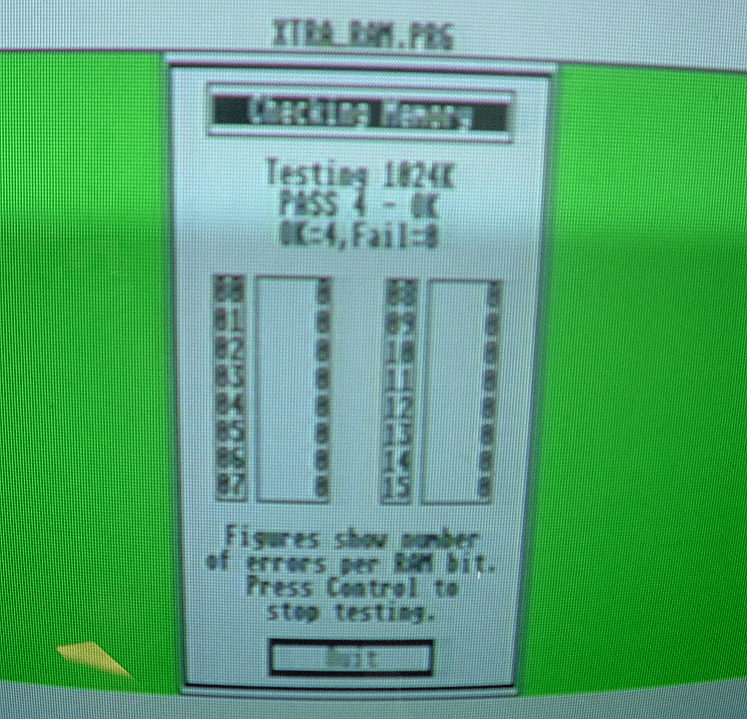 R71,R72,R73. First up - Unsoldering all those holes for the RAM and capacitors! Now I unsolder the 6 resistor holes and clean up the PCB with DE-FLUX cleaner. 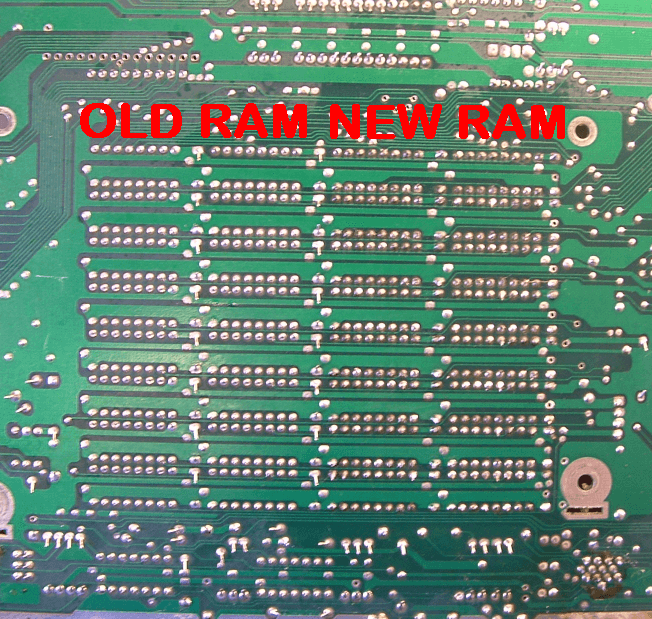 I fitted all the RAM into sockets as the new RAM was taken from old STFM's breaking for spares so the state of the ram was unknown. 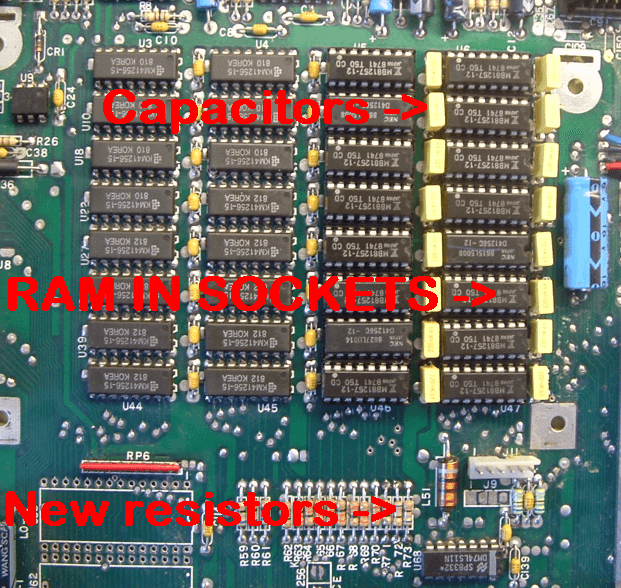 Capacitors (220nF) were also taken from old boards. 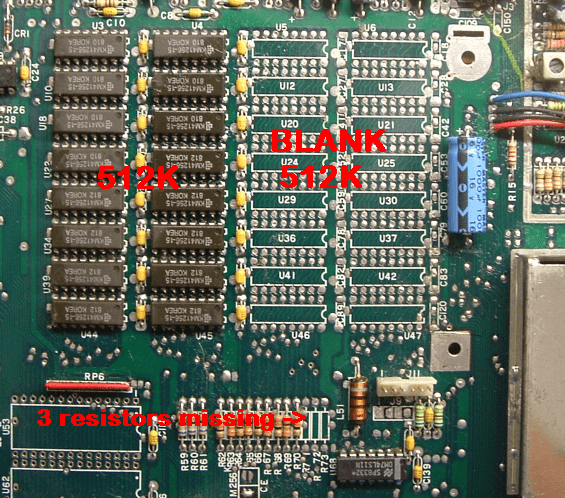 The 3 resistors (68ohm) Were again taken from old boards. 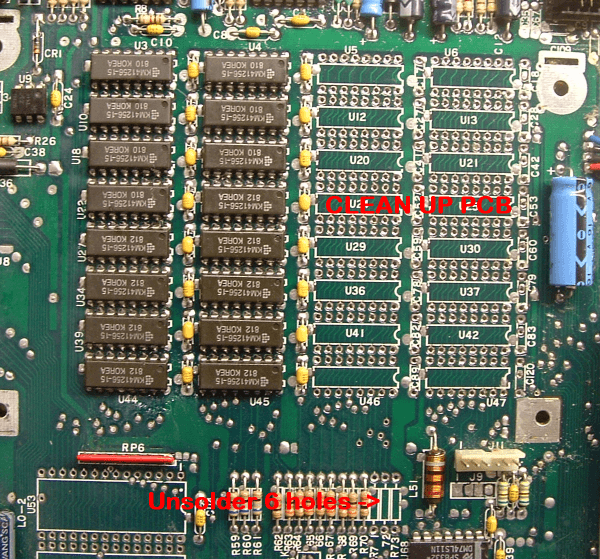 The bottom of the PCB shown after cleaning up the solder flux!